Newsflash: There’s a LOT of conflict in our world! Between riots in Charlotte, NC, weekly violence in places like Chicago, Terrorism in New York, New Jersey, and Minnesota…there is no shortage of violence. Police killing civilians, Civilians killing police, Citizens killing citizens…seems as though we hear a lot more about it now. Violence, as they say, begets violence. Add to that the ‘soft’ conflicts that happen in political ‘debate’ and ‘discussion’, Facebook or Twitter ‘wars’ which can quickly escalate to the point that two people who would normally get along…even enjoy each other…even love each other, can be angry and embittered with one another because of their political (or moral, or spiritual) disagreements. As I observe all this, I tend to think of a ‘downward spiral of conflict’, where we go faster and faster down a relational ‘hole’ that we can’t get back out of. If something does not change, our families, friendships, churches and communities will be destroyed. Our society is at a bit of a ‘tipping point’, and I wonder if more violence will set the tone for a dramatically bad turn of events, depending on the outcome of the election this fall. Certainly there are ‘elements’ in both Clinton and Trump camps that may react very negatively (and violently) if the other side wins. …all the while, satan–our spiritual enemy–sits back and laughs. That is the mindset of evil, and our society is being played. At KCC, we’ve talked a lot about a verse that is a ‘worldview’ verse in some ways…it indicates in many ways, the reason things are what they are in this world…and helps us ask questions that will get us out of that ‘downward spiral’. The thief–satan, our enemy, is always trying to destroy. He’s always trying to divide, cause conflict, and incite animosity toward others. IF we let him, he destroys families, churches, communities, and eventually, our society and our world. This is what is happening in our culture, as people plug their ears to the truth, center on their own desires, and lob accusations against ‘the other side’. Choose to listen. Try to understand. Seek to give the benefit of the doubt. If you are a follower of Jesus, we must seek peace! That is part of the “Life, to the full” that Jesus promised–relational peace and unity. “Love must be sincere. Hate what is evil; cling to what is good. 10 Be devoted to one another in love. Honor one another above yourselves.11 Never be lacking in zeal, but keep your spiritual fervor, serving the Lord. 12 Be joyful in hope, patient in affliction, faithful in prayer. 13 Share with the Lord’s people who are in need. Practice hospitality. WE must be those who ‘overcome evil with good’! WE must be those who leave room for God to avenge. WE must be he ones who refuse to ‘pay back evil with evil, but to do what is right’. Will there be ‘bad guys’ on the other side of the spectrum? Yes. Will there be ‘bad guys’ on our end of the spectrum? Regrettably, yes! YOU and I–as Christ followers–cannot be one of them! We MUST seek peace and pursue it! We must listen, love, discuss, share, give grace, and remain committed to the truth–in LOVE! That is the only hope for our society! If you’re a Christian, YOU represent Jesus! Commit yourself to living like it! Most of us would love to be remembered as a good person, one who lived life ‘the right way’, one whom people respect, etc. Some of us would like to be remembered as Christians, most importantly. In other words, speaking for myself, I want everyone who comes in contact with me to know that I am a follower of Jesus Christ. I want my words, actions, and motivations to point toward Him. That all sounds nice…so how do we do it? One minute, one interaction, at a time. Yesterday, our family got news of a tragic death of a young man, Ryan Cramer, who had taught some of our children. It was a deep blow to us, and to so many others, but it was especially deep for his wife, Krista, and their young girls. As we reflected on him, we realized that he was a GREAT Teacher and a marvelous person. He had the ability to convince each student that he cared about them, personally. He believed in them, personally, and he looked forward to seeing them each day, personally. He helped 2 of our girls learn to love school–or at least his class–and to feel genuinely good about themselves, because of his care and concern for them. They are strong, beautiful, competent young women now, partly because of the teachers in their lives–and none moreso than him. He and his wife, both teachers at our kids’ elementary school, were both the kind of people that we need more of–people who give their lives in service to others, people who invest themselves in the lives of the next generation. Here’s the thing: Ryan was a young man (certainly compared to myself, anyway). He was in the prime of his life with a wonderful wife and young family. To be sure, that’s part of what makes it seem so tragic, but what I want to get you to think about is this: Ryan could not have known that the end of this life would come so soon. He did not have time to consider his ‘Legacy’ as many do when they approach retirement age–he had decades to go before that! That is the point: Ryan LIVED HIS LEGACY out, every day! He invested himself in the lives of hundreds of children and families over the years, and THAT was his Legacy! The Scriptures remind us: “Teach us to number our days, that we may gain a heart of wisdom.” (Psalm 90:12), and “All the days ordained for me were written in Your book before even one of them came to be.” (Psalm 139:16). God knew Ryan, and the number of his days. Ryan loved the Lord…he is sharing in eternity with Jesus right now…but he lived his life here on earth as a ‘Legacy’. No, he wasn’t perfect…other that Jesus, none of us are. But he didn’t let that stop him from living a life of impact while he had the time. It is another reminder that NOW is the Time! TODAY is the day! Consider how you’re living and what you’re investing in right now! Live life the way you want to be remembered, NOW. Live your legacy out now–with the power and strength that the Holy Spirit gives–because TODAY is the only day we can influence right now! As Christians, we don’t want to live simply so that people ‘miss us’; we want to live so that they see Jesus in us! We want to live in a way which points to eternity! I want to live in such a way that people ‘see Jesus in me’, even if we never talk! Ryan may not have known it, but he did it! …and others…including the Johnson family…saw it! Warning: This post will leave some of you uncomfortable, and others will be offended. I am including a link to a video that uses a bad word, and will definitely step on toes (it did mine). I don’t share this video to say ‘The Black Eyed Peas have it all figured out’, they don’t. One thing we can all agree on: there is a LOT of hate out there! Violence, Evil, Racism…it’s certainly out there in our world. How have I contributed–either in my attitude, my actions, or my behavior–to the climate of hate and division? For example, when I watch this video, I get offended by the lines about police killing, and the ‘hands up, don’t shoot’ false narrative that was so prevalent recently. However, rather than discard the entire song, I have to admit that there are legitimate good things about it, and that the question is one that I need to answer! 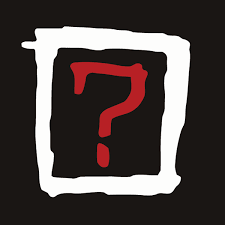 The Black Eyed Peas ask this profound question, and I think we–especially Christ followers–need to wrestle with it: Where IS the Love? Here’s the thing: We–Christians–KNOW the answer! The LOVE has already come! Jesus came to show it, and He NAILED it! Evil–including hate and racism–were nailed to the cross when He willingly went there! Why, then, does it still exist? 1) Our enemy, satan…the devil, is still trying to mess everything up (“The thief comes only to steal, kill and destroy; I have come that they might have LIFE, and have it to the Full.” (John 10:10), and 2) We willingly play into his hands. Even in the Church–the family of God–who’ve been brought in by His amazing grace, and through nothing of our own merit (Ephesians 2:1-10)–we continue to justify racism, hatred and division! If Jesus has paid for all our sin, and brought us all into relationship with the Father–adopted into the family of God–then we, above all people should know how to show LOVE…for all races, denominations, ethnicities, etc. “You were excluded from citizenship among the people of Israel, and you did not know the covenant promises God had made to them. You lived in this world without God and without hope. 13 But now you have been united with Christ Jesus. Once you were far away from God, but now you have been brought near to him through the blood of Christ. HE–Jesus–is the One who made peace; HE is the one who brought the LOVE. “Where is the Love?” It’s in Jesus! Therefore, as Christians, we have a responsibility to believe, think, and act not as members of ‘our’ group–‘White’, ‘Black’, ‘Latino’, etc…but as Children of God! ALL lives matter–to God! Therefore, all lives should matter to me, as His child! We must push back from the rhetoric, push back from the headlines, push back from the protests, and consider: As those who have been extravagantly, graciously, and abundantly loved by God, how can we LOVE each other? Does it mean we have no differences? Does it mean we can’t teach those who are different some things? Does it mean we can’t learn from each other? Of course not…and sometimes, those differences are important! Even then, however, we must live in the context of love.